— Account Manager, Edelman PR Worldwide. — Account Director, Lexis PR. Ever made a presentation and noticed that some of your audience were not listening? Ever had a conversation a with a person who kept looking over your shoulder for someone more interesting? If anything like that has ever happened to you, you need this book. 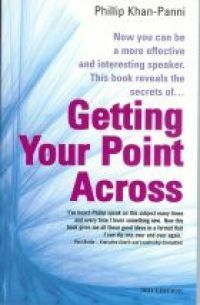 Getting your point across quickly and effectively is a skill that really matters in business.